I love a great local success story! I especially love one where people have pursued a passion. Here is an inspiring story of Kiddie Academy franchise owners who followed their dream. 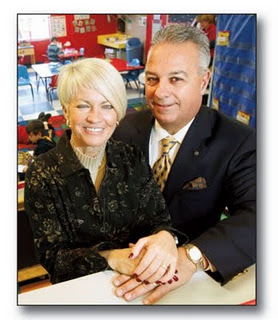 Jill and George Malanga opened their first franchised Kiddie Academy in July 1996 at 233 Sparta Avenue in Sparta, New Jersey, at ages 50 and 59, respectively. Fueled by their overwhelming success, they opened their second location at 179 Cahill Cross Road in West Milford, New Jersey, in September 2004. 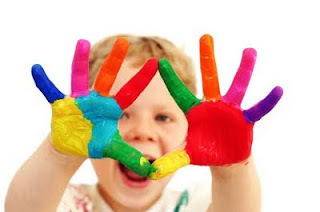 Unlike owners of other child care concepts in the area, the Malangas treat each parent and child as they would a member of their own family, regularly going above and beyond to provide the best service possible. Background: Jill was a franchisee for NutriSystem, but shortly after the birth of her first child she wanted to shift her attention to her son. When it came time to select a child care facility for him, the options in the area were not up to her standards. As a result, she decided to open a Kiddie Academy franchise, not only for her son but for other parents in the community looking for a better option. George, a former high school teacher and 30-year veteran of the music industry, saw the success of his wife’s venture and decided to follow in her footsteps with a second location shortly after his retirement in 2003. Each time they see a satisfied parent or hear a student’s laugh, the Malangas know that their decision to become Kiddie Academy franchisees was the right one. Goals: For George and Jill, giving parents peace of mind is their top priority. They regularly consult with parents to provide the best possible service to their children, including waiving the tuition for any student with a parent deployed overseas. With enrollment at both academies nearing capacity, the Malangas are also considering opening a third location in the area. Challenges: Maintaining the company’s cozy, nurturing atmosphere is always one of Jill’s top concerns, since she operates one of the largest Kiddie Academy facilities in the United States. Kiddie Academy’s innovative curriculum and hands-on approach to educationally-based child care keeps the academies inviting and personal. Jill and George want each parent and child to maintain the special feeling of being part of their Kiddie Academy community. Results: Jill’s constant drive to make her academy the best it can be has paid off over the years. Events such as date nights and shopping days, as well as pancake breakfasts and end-of-the-year recitals, continuously receive rave reviews from parents and children alike. Not only has she received several awards from both her franchisor and the local community, she has also made quite a difference in the lives of the children who attend her academy – an achievement that cannot be measured by a certificate or plaque, but instead by the smile on a child’s face. Disclosure: This is a sponsored post. However, any opinions stated are my own. Factual information was provided by Kiddie Academy.